Rumours had begun to circulate earlier in the week that there was going to be a big reveal on a new Potter project but, on the whole, this has been a well-kept secret. 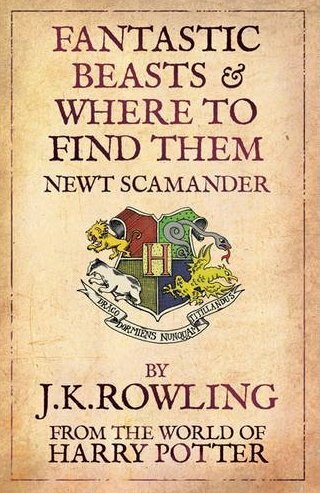 So, the project in question is to be an adaptation of Rowling’s 2001 book, Fantastic Beasts & Where To Find Them by Newt Scamander, written for Comic Relief of that year. It’s a textbook of sorts, used at Hogwarts School of Witchcraft & Wizardry, referenced and indicated to be a facsimile of Harry Potter’s own school copy (complete with his graffiti throughout). It is, as its title suggests, a guide to beasts and creatures rare and common throughout the magic world; ‘Magizoology’ is the term coined here. 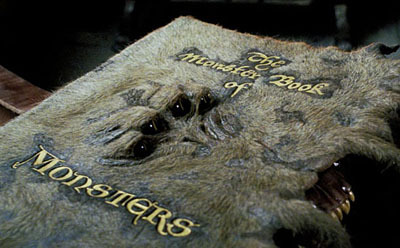 Fantastic Beasts, as it appears in the Potter films. The setting of the new film will provide quite a departure from the existing and established Potter world that we know, being primarily set in 1920’s New York (also from her statement, Rowling says: …“Newt’s story will start in New York, seventy years before Harry’s gets underway.”). As well as the most obvious departure being that of America rather than Britain, we also have the ‘jazz age’ time period to consider, alongside the important question of casting. Will the character of Newt Scamander be American? The question is also raised as to whether this will be a standalone movie or the start of a new series. Warner Bros. would, given the success of the Potter series, be open to Scamander’s tales being a sequence of films and, given the nature of the ‘textbook’, this may fit; allowing ourselves to speculate, it could be that the plot of the new film(s) will follow Scamander from the initial beginning of the Fantastic Beasts project (referring back to Scamander’s introduction at the start of Fantastic Beasts: “The first edition of Fantastic Beasts was commissioned back in 1918 by Mr Augustus Worme of Obscurus Books…”) to his chronicling of the various beasts in a series of escapades, exciting and/or dangerous. There is, of course, the open door for cameos from various Potter regulars, such as Dumbledore, and other notable figures of the world, perhaps a young Minerva McGonagall? “I think the main thing about J.K. Rowling returning to the Harry Potter universe is J.K. ROWLING IS RETURNING TO THE HARRY POTTER UNIVERSE! This is very exciting and although I’m still hoping for a marauders book, Fantastic Beasts & Where To Find Them sounds intriguing. As someone who has found the films a little less than successful and a little more in the chair-clenching, anxiety-inducing despair kind of category, the fact that J.K. is writing the screenplay herself is a step in the right direction. I think she’s keen to separate this story from the pre-existing Harry Potter arc (the film is to be set in New York for one thing) which is probably why she’s taking control of the writing process. So no Daniel Radcliffe cameos (please!). More news as and when it appears. Andrew is the author of The Vengeance Path, a Steampunk Fantasy and the first in the ongoing series The Chronicles of Edenos, set on an alien planet far into the future. Available as an eBook from Amazon, or from the publisher’s website. Neil Gaiman: “Sandman was impossible….but none of us knew it!” (EIBF 2013) Tainted Pages: Should ‘Ender’s Game’ be boycotted because of the controversial views of its author?